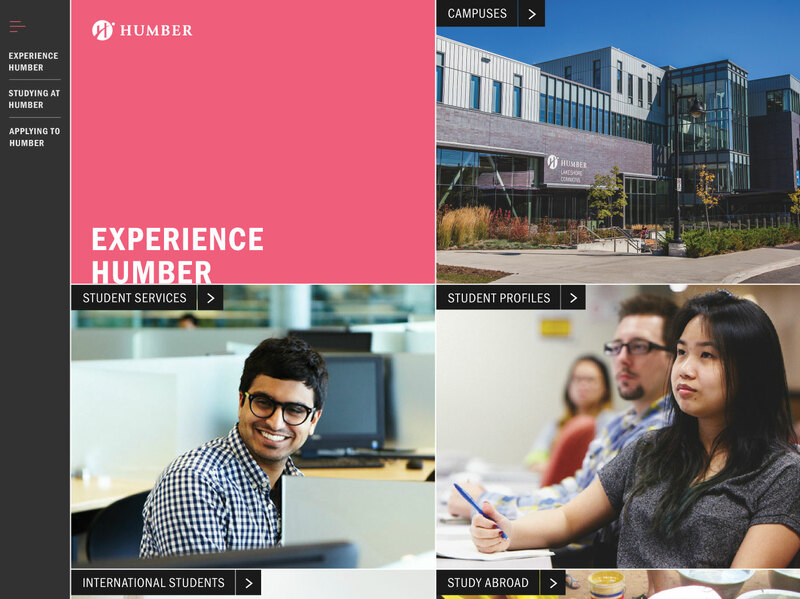 Humber College is known for their student engagement, they value the quality of life the students live. 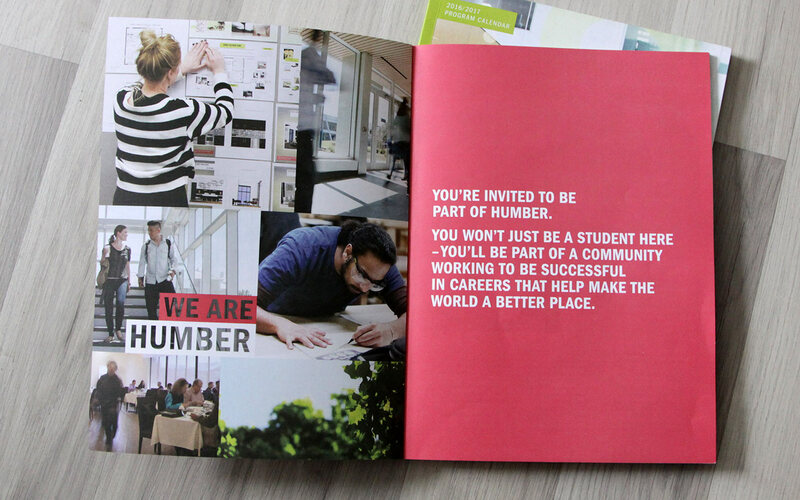 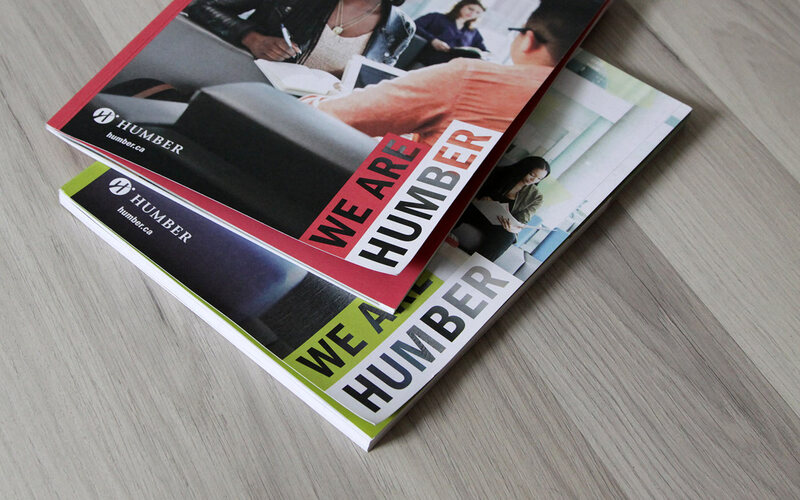 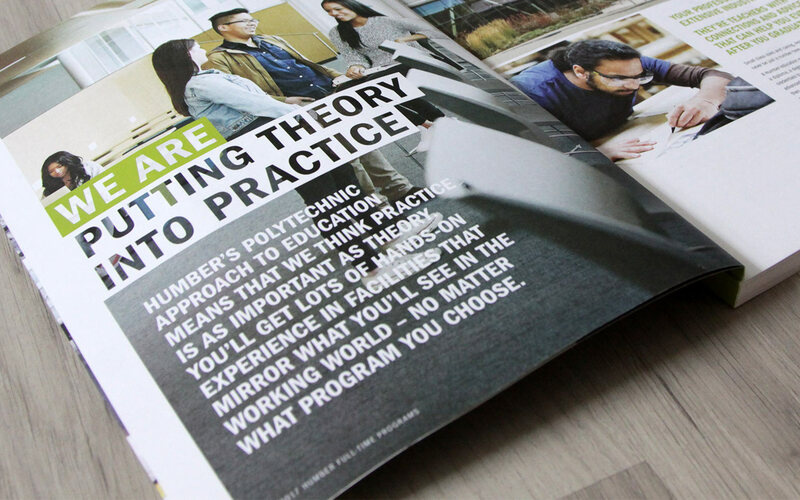 Each year Humber invest a lot of their resource in making their viewbook as engaging as possible, the only problem is that they don’t have an online component. 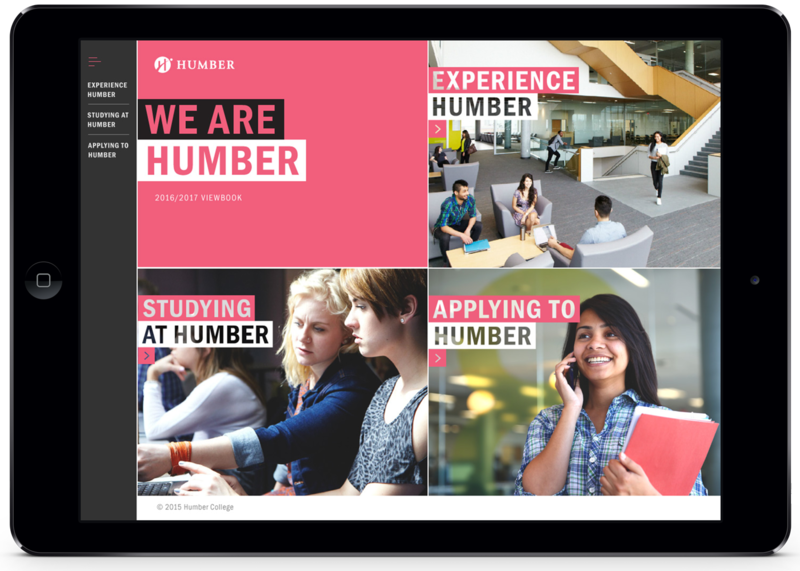 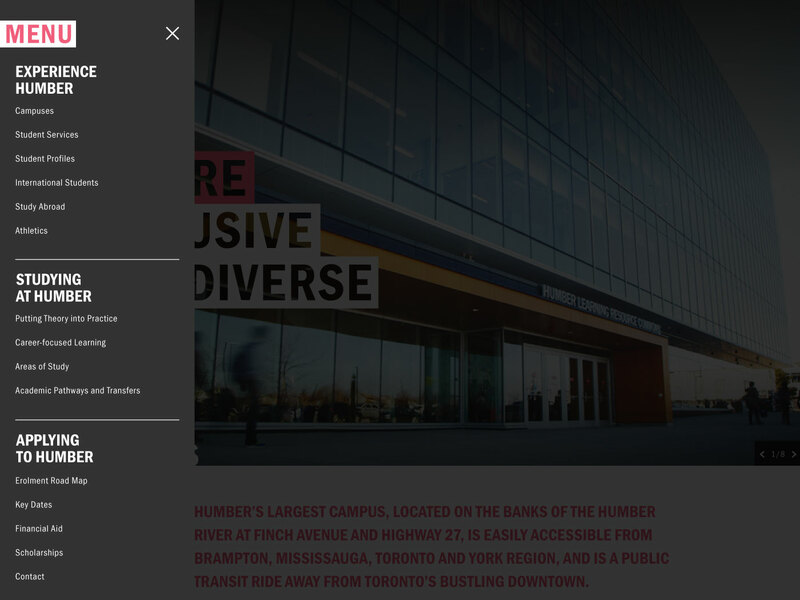 The Challenge is to create an online experience that expresses the diverse culture Humber has and compliment the print viewbook. 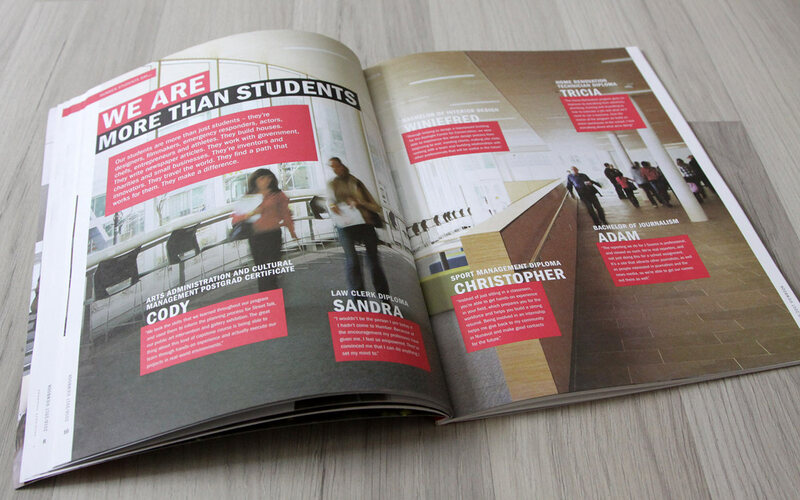 In planning with the pagination for the printed viewbook, the order of the viewbook tells the story in a free flowing manner, where it did not translate well in an online architecture point of view. 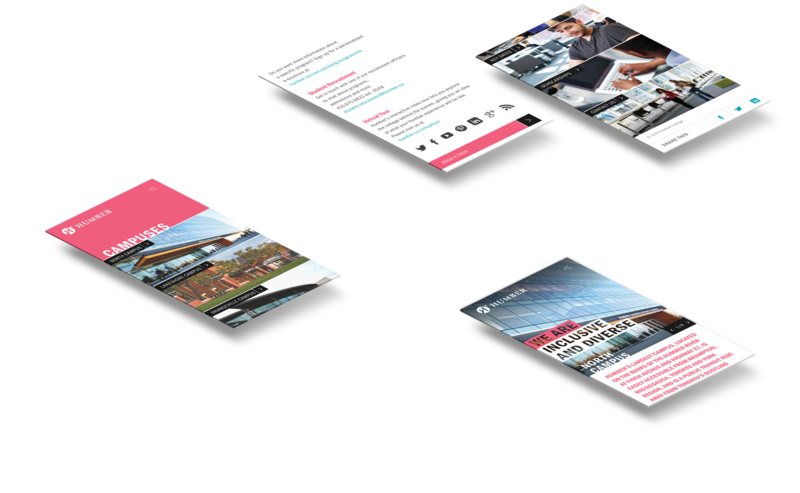 In order to solve this problem, restructuring the information architecture and renaming of sections are needed for this exercise. 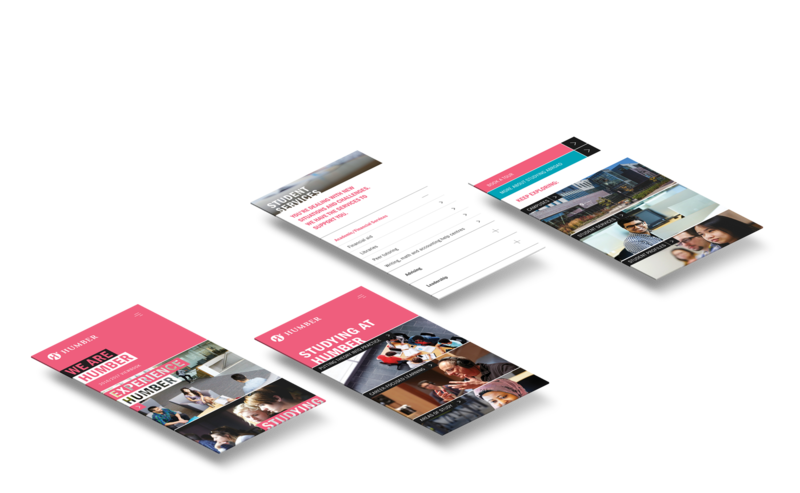 The expected use case for this product will be 75% mobile and 25% desktop, so mobile first approach is the number one priority in this experience. 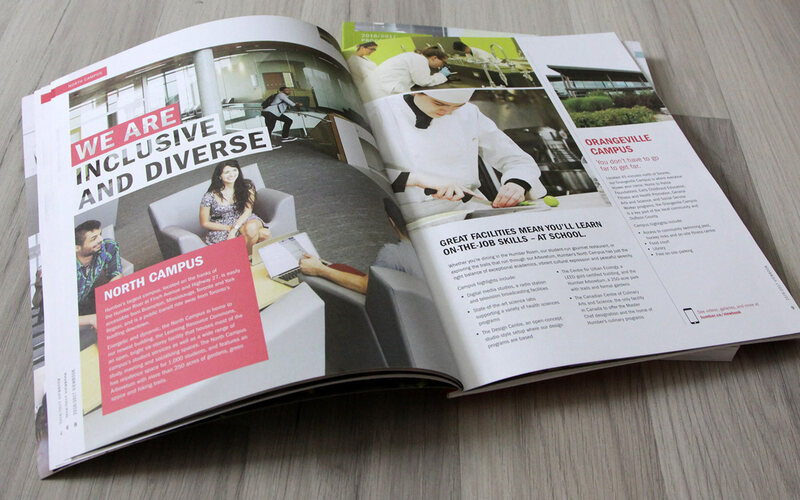 As a compliment piece to the printed viewbook, taking advantage of different types of media like video streams, interactions and more images further expresses what life at Humber College.